In Inviso we are quite intrigued about getting data from API's using Alteryx, and often we get the data back in JSON format. 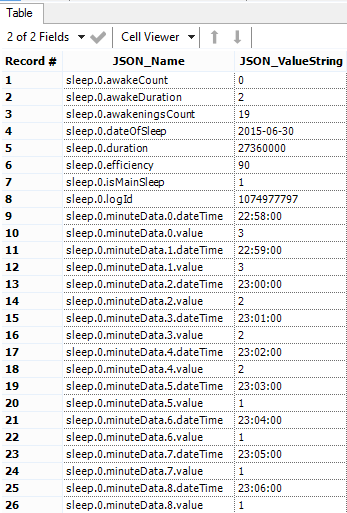 I just got a new Fitbit Charge HR tracker, and we will use my sleep data as an example (I can imagine I will make a post about accessing the Fitbit API as well). 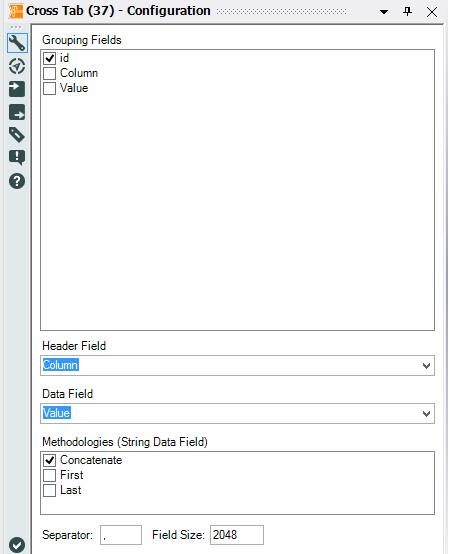 When using "JSON parse" in Alteryx we get some of the way however there is still a bit of work until we get to a traditional row based view. In the following I will describe how we treat JSON in Alteryx. Not very helpful right? 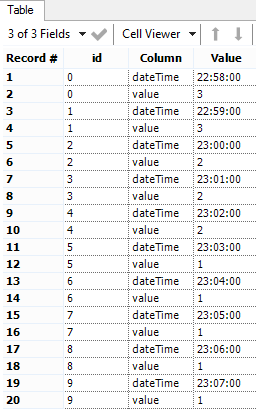 When the data is parsed through the "JSON Parser" in Alteryx, it looks a little better, however we are still not there. We want to group by Id. 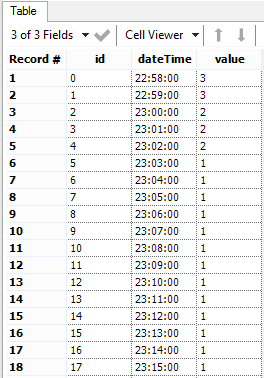 To accomplish this we do the following configuration of the "Cross Tab" tool. Now we have a dataset, that is ready for your favorite analysis tool - Tableau is mine!